Sun Control window films are great for increasing home energy savings. These films can reduce your cooling costs in some instances up to 30% by keeping out hot sunlight which would increase your home’s temperature. Having window film installed by NuVision is far cheaper than constantly adjusting your air conditioner in an attempt to beat the heat. In winter, 3M Thinsulate film seals window drafts to keep the cold out, giving you year-round savings. These films also have the ability to increase your home comfort and maintain greater temperature control from one room to the next. Reduce the fading of your furnishings, carpets, and interior by blocking the sun’s UV rays. Direct sunlight can cause many items in your home to slowly lose their color. 3M Solar Control Window Film can block up to 99% of harmful UV rays, saving your possessions. WINDOW FILMS LESS REFLECTIVE THAN GLASS! One of the major drawbacks of traditional window films is that they tend to act like mirrors. From the inside, these films make it difficult to see outside, especially at night when interior lights are on. In the daytime, the outside reflection tends to give the home the look of a commercial building. Now, 3M Daylight Redirecting Film has substantially reduced reflectivity. This premium line offers window films with less interior reflectivity than the glass they cover. Even at night you’ll have a clear view out your windows. Your windows will only reflect your commitment to keeping your home looking beautiful. Hinder the ease of a burglar break-in with Safety and Security window films.  3M Safety & Security Window Film adheres to your windows and holds the glass in place even under pressure. If someone tries to break into your home by shattering a window, the film will impede their entry or deny them altogether. Many criminals will give up rather than risk getting caught breaking another window. Safety film is also helpful during severe weather circumstances and regular home accidents. You no longer have to worry about a stray baseball or storm debris breaking a window. These films from 3M are available in a tinted sun-controlled option or clear to maintain the appearance of your home. Contact NuVision to learn more about securing your home. Tinted window films for security or solar control have an additional benefit for homeowners: privacy! Dark or reflective coatings keep prying eyes from seeing into your home. Blinds and curtains will offer privacy but keep out the light. Using window film instead will allow natural light into your home without sacrificing privacy. Window film can be installed on interior or exterior windows and doors. One option with privacy window film is to create a one-way mirror. You will be able to see out of your home but no one can see in. This option is very popular residents of ground-floor apartments, condos, and duplexes in areas with lots of foot traffic. One-way mirrors can be added to windows and doors. Decorative window films are not just for businesses. They can be used to fully customize your home, inside and out. 3M Fasara film is an affordable alternative to expensive etched-glass décor and window graphics can be designed to your exact specifications. Our plotter-cut vinyl graphics offer many of the same protective properties of other window films, blocking UV-rays and offering scratch-resistance.  We are one of Wisconsin and Illinois’s only 3M Prestige Window Film Dealers. Whether you want to protect your home and save on energy costs, NuVision window film experts are ready to help you with fast and affordable installation services. We will help you find the right type and style of film to improve your home. Contact Our Window Film Installation Professionals For A Free Residential Building Quote Today.